A beautiful sunny afternoon in Lurgan was the setting for our semi final clash with Clans. Stephen Murray was the man in the middle. Ryan Martin converted a free when the game was only seconds old to get the scoring underway. 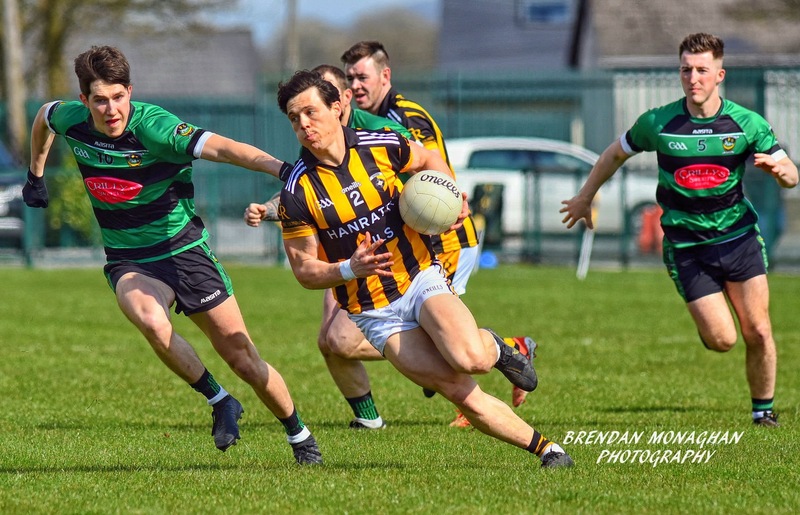 Clan na Gael scored two points and at midway point of the first half, only one separated the sides. A super finish from Fiannan Moley into the back of the net edged us in front but moments later the exact same happened the opposite end of the field, the Lurgan boys scored a goal to give them the lead once more. 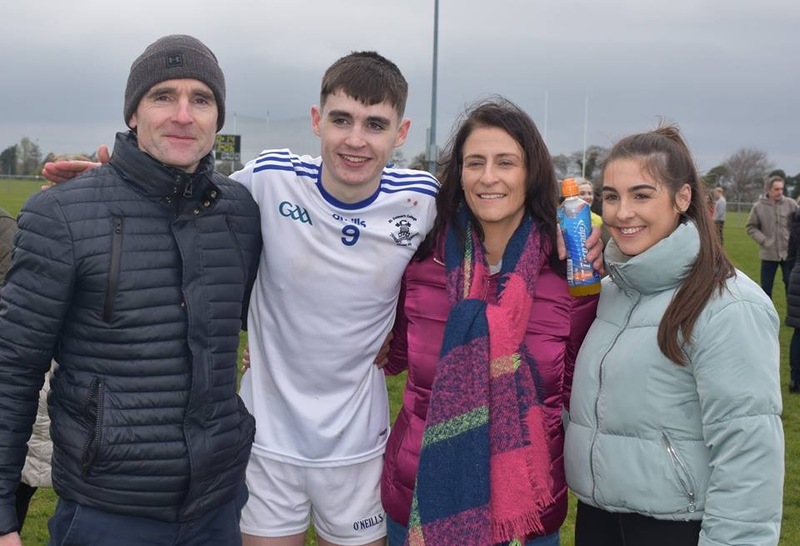 Clan na Gael had a point registered not long after the ball had been thrown in to extend their lead to two, a Fiannan Moley point reduced the deficit back to one. 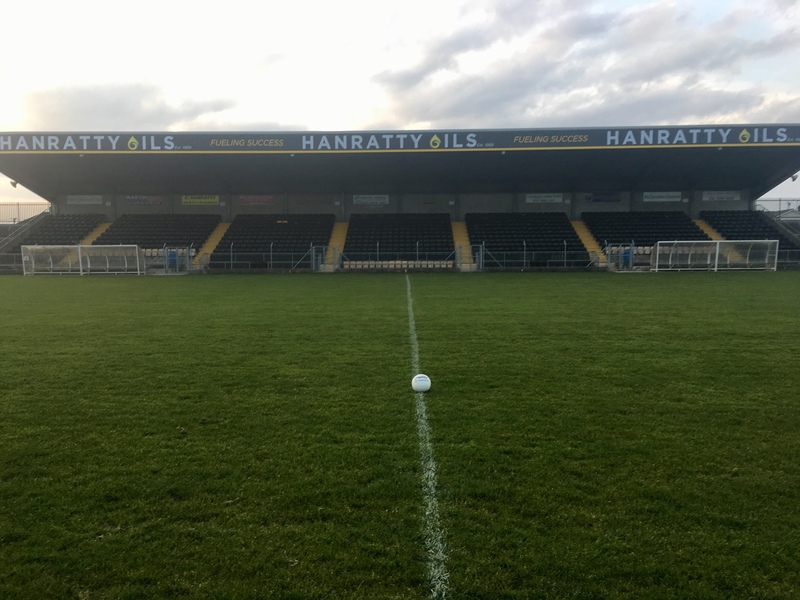 A Clans goal, their second of the match secured their lead once again but our boys battled back, scoring 1-3 in the next ten minutes, Ryan Martin (2) and Aodhan Donnelly scoring our third goal and a point to leave us ahead by two with a little over ten to go. Clan na Gael evened matters with two points in quick succession and it looked like a draw could be on the cards. Clans scored their third goal with only minutes remaining to give them the lead at a crucial time in the game. Aaron Haughey suffered a serious injury and play was stopped for twenty minutes as he received medical attention. The game resumed. 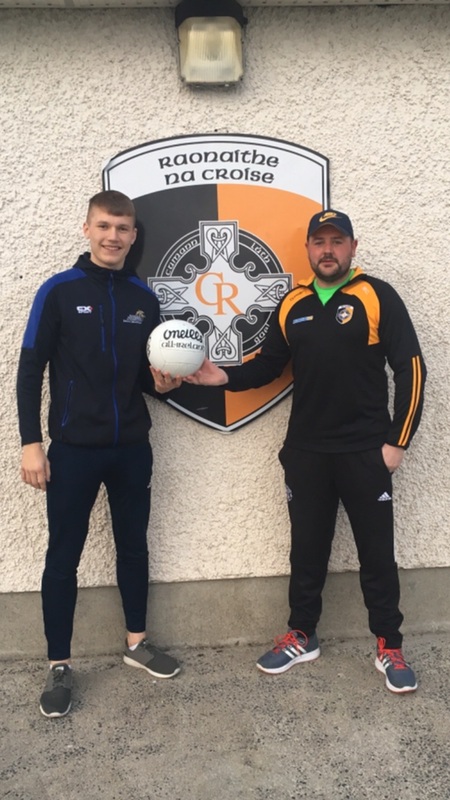 Stephen Murray had awarded the Lurgan side a penalty before play had been stopped, Ryan McEntee in goals carried off a great save but was unfortunate when the ball rebounded and Clans kicked the ball into the net. A point from Clans in the dying seconds of the game brought the scoring to a close. Hard luck boys and management. You all put in a gallant effort but it wasn’t to be our day. We are so proud of you all. We wish Clan na Gael well in the final. 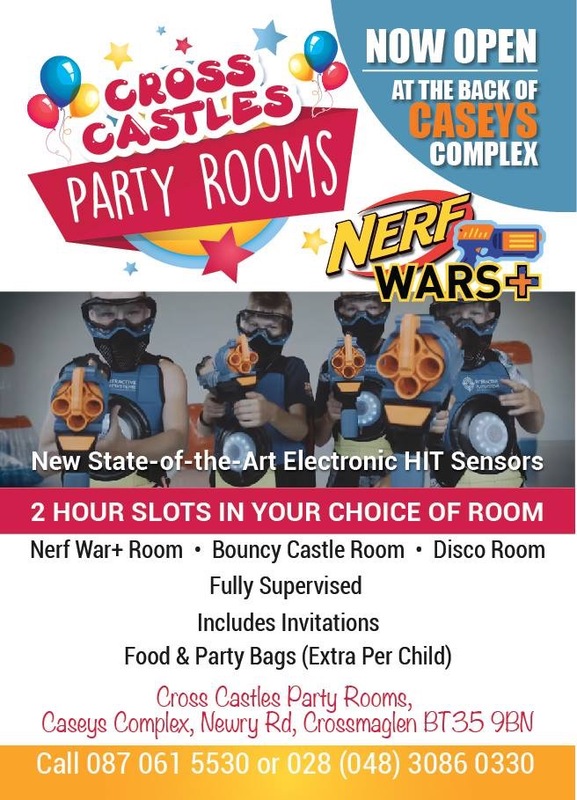 This week’s online notes have been sponsored by Cross Castles, Cross Castles Party Rooms & Valu land. 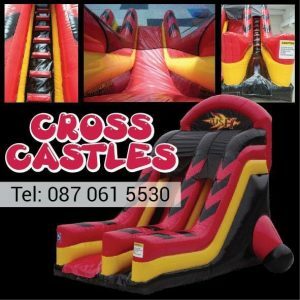 Thanks very much to Patrick, Mary and all the crew at Cross Castles, Cross Party rooms & Valu Land for your sponsorship. 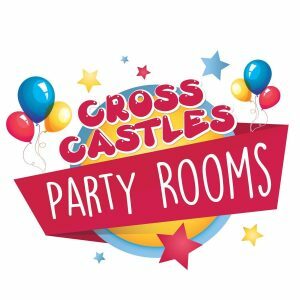 We wish you well with your new venture, Cross Castles Party Rooms.If you would like to sponsor the online notes, please email [email protected] or telephone, 0876659126. On Saturday our U14 camogs secured a place in the National Féile after some amazing performances resulted in them winning the Armagh Camogie Féile Cup. 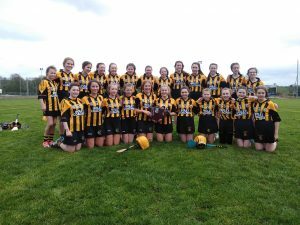 Well done girls and management on a super win, the entire club congratulate you and wish you well in your preparations for the National Féile which will take place in Cork later in the year. 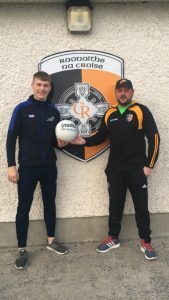 Micko Cassidy will sponsor the ball for our Senior league fixture against Armagh Harps on Sunday. Many thanks to Micko for your sponsorship and ongoing support. 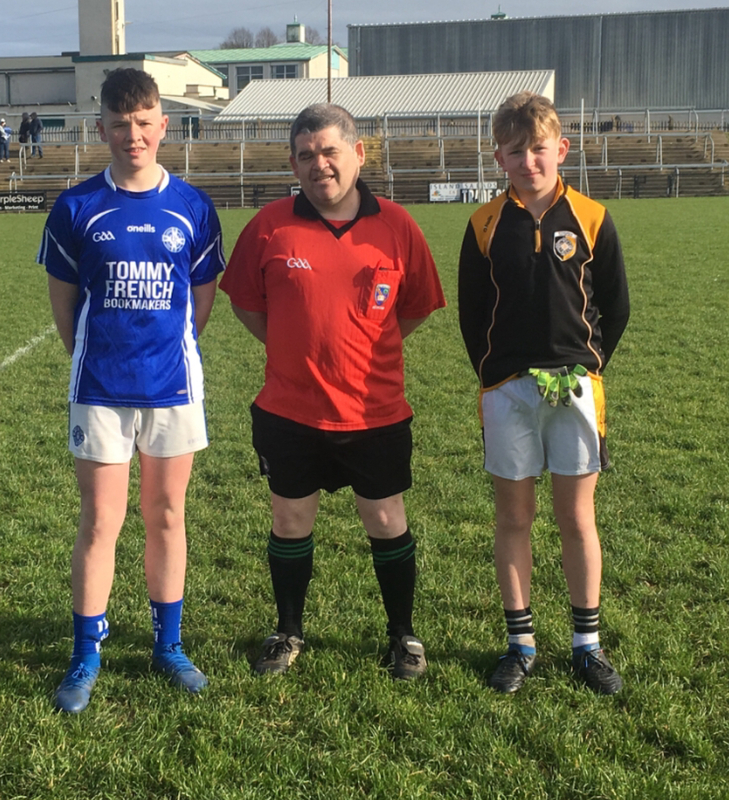 All fourteen fixtures in the upcoming Senior league have been sponsored. 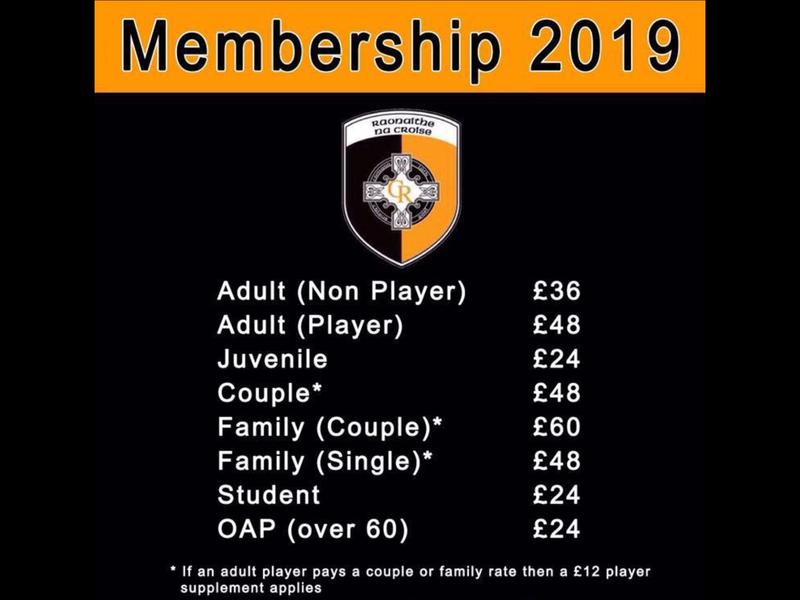 Below is a list of the fixtures and sponsors. Many thanks to all who sponsored a ball and for supporting our Senior team. Our opening game in the Armagh senior football league saw us face Killeavy. 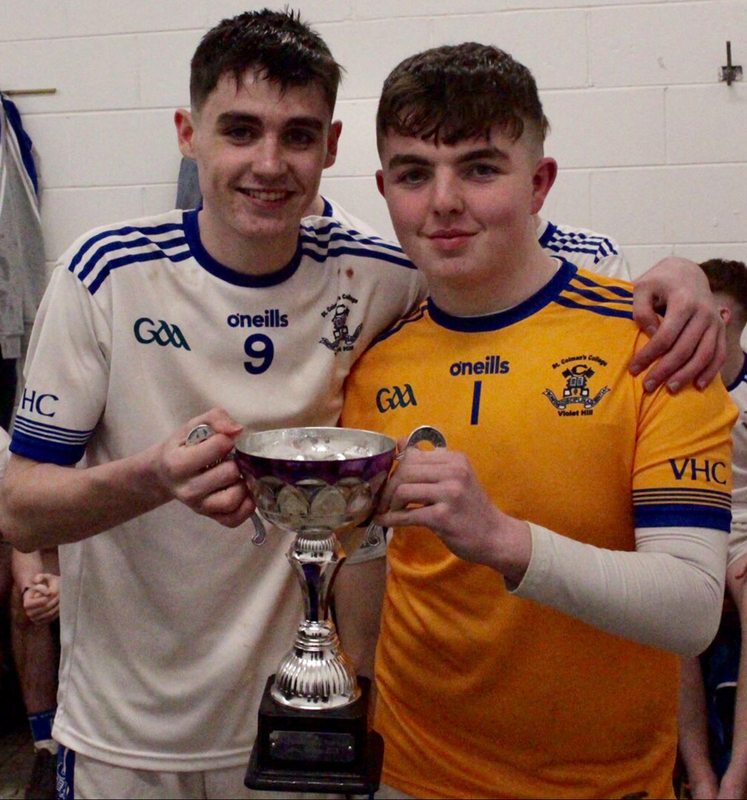 From the start of the second half, we were very much in control of the game, scoring 1-4, Cian McConville our goal scorer before Killeavy got their opening score of the second half. The final minutes of the game saw both sides register three points a piece and as the game entered injury time, Killeavy scored a point. Well done lads and management on a good win to start off our 2019 league campaign. Hard luck lads & management. Executive meeting on Tuesday night @9pm. 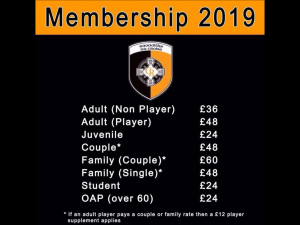 Membership closes shortly, please contact Peadar McCoy, David Donaldson or any committee member. Cross Castles Party Rooms are located behind Casey’s Complex in Crossmaglen and are available for private party bookings by calling into Valuland or by calling 02830860330. New to the Party Room is a mother & toddler morning every Friday where parents can have a cuppa whilst their children play in a safe and fun environment. For more information follow Cross Castles Party Rooms Facebook or contact Paddy or Mary Deery. 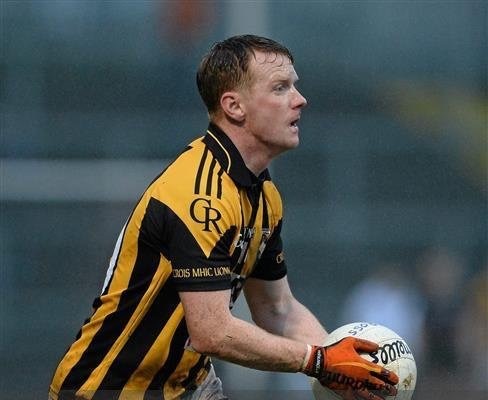 We send our very best wishes to Mickey McNamee who recently retired from football. A tremendous player who will be remembered as one of the best to ever have donned the black and amber. 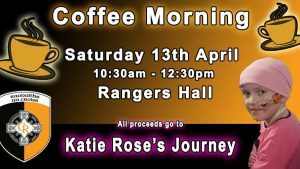 Anyone who would like to help with hosting the coffee morning for little Katie Rose McKeown from Grange, please contact me. 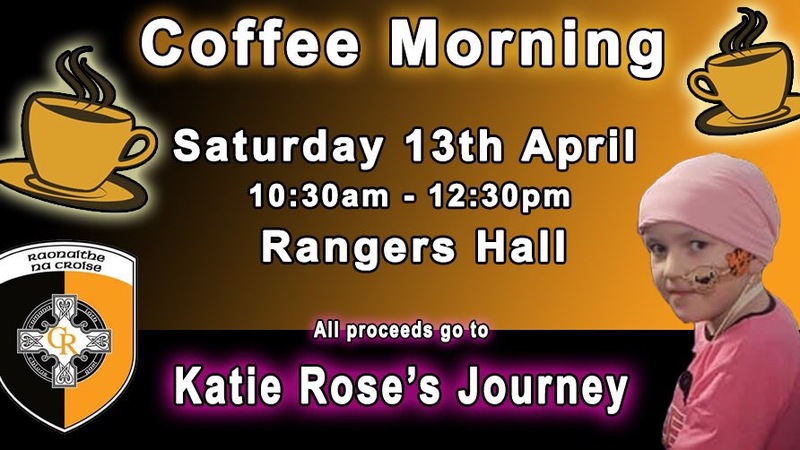 The coffee morning takes place on Saturday 13th April in the Rangers Hall from 10.30am-12.30pm. Thanks to all who entered our online competition to win one of our fab new half zip squad tops. The top is heading for Tyrone. The winner is Bernadette Fox from Moy. Congratulations Bernadette, you will be the best dressed woman in Tyrone! 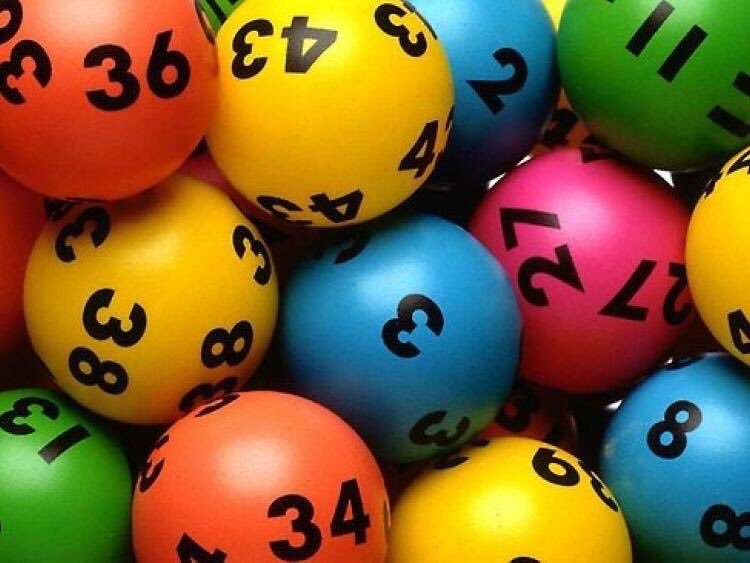 9 Matched 3 numbers; Aoife Murtagh, Pauline O’Donnell, Paul Duffy, Brendan Evans, Mary Short, Gerard McMonagle, Crawley Girls, Sinead Clarke & TJ Quinn win £15 each. Well done to our match 3 winners. 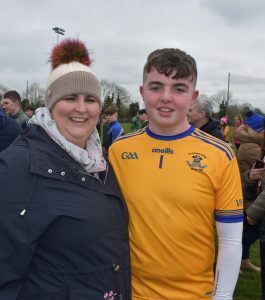 Crossmaglen Rangers GFC send their deepest sympathies to Aoibheann & Thomas Cassidy & family on the recent sad passing of Aoibheann’s Mother, Bernadette. The entire Crossmaglen Rangers club are saddened to learn of the passing of Eamon. We send our deepest condolences to Eamon’s Sons, Robert, Andrew & Keith, Daughter Mareasa, Mother May, Mother-in-law, Teresa, Partner Sarah and the extended family circle. 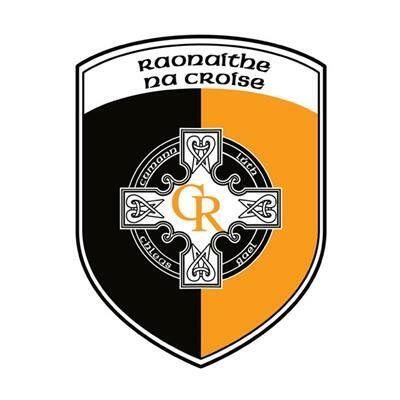 Crossmaglen Rangers GFC are deeply saddened to learn of the passing of Raymond, Wife of Deirdre (former camogie player), Father Of Caitlin, Alana & Sienna, Son of Owen & Madge, Son-in-law Of Naoise and Mary Short. We send our deepest sympathies to the entire Grant and Short families at this sad time.